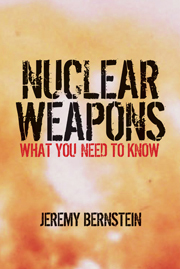 Writing for NYRBlog, nuclear weapons expert Jeremy Bernstein explains Iran’s efforts to produce nuclear material — something they’re already doing at an alarming rate. 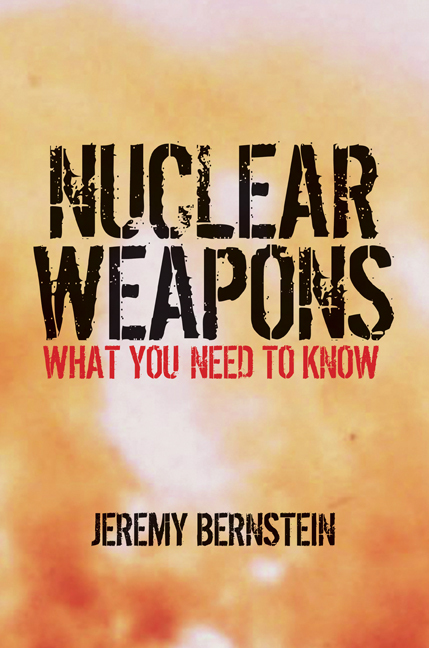 Bernstein’s Nuclear Weapons: What You Need to Know will be out in paperback next month. To western officials who have spent months trying to slow down Iran’s nuclear program, Mahmoud Ahmadinejad’s announcement of plans to build ten new uranium enrichment plants is deeply unsettling. But the real worry may be the nuclear facilities already in existence. In mid-November, the Russian Energy Minister Sergei Shmatko announced that, for “technical reasons,” the Russians will not finish this year the reactor they are constructing for the Iranians at Bushehr on the Persian Gulf. Since the reasons were not given, one may speculate that, despite Russian denials, this is a message of displeasure sent to the Iranians. There is much to be displeased about. One can make the case that the Bushehr reactor will be used for generating electricity, but no such case can be made for the reactor located at Arak in central Iran. While the Arak reactor is not powerful enough to generate meaningful amounts of electricity, it is far more powerful than is necessary to simply make medical isotopes—which the Iranians claim is its intended purpose. In fact, this reactor is suited to manufacture plutonium; it is a type that has been used in weapons programs in countries such as India and Israel. During an August visit to Arak, the International Atomic Energy Agency inspectors were not able to verify whether the Iranian regime has the auxiliary equipment—for example the remote facilities—needed to separate plutonium from the reactor’s highly radioactive fuel elements. It is not certain when this reactor will go into operation but its existence is a red flag. Meanwhile, the centrifuge facility in Natanz is now operating with 3,936 P-1 centrifuges—the original type created with the help of A.Q. Khan, the Pakistani metallurgist and proliferator. There are, according to the IAEA, 4,456 additional centrifuges in the plant that are not yet operating for reasons unknown. Why is this worrisome?